The festive season, which is the most beautiful and delightful time of the year, is just around the corner. This is the time when all the streets, houses and shops are decorated beautifully with lights celebrating the victory of good over evil. The delightful season marks a month-long celebration of good omen, prosperity, and celebrations. Unfortunately, this is also the time of the year when the smog and pollution levels are at the highest turning out to be a nightmare for senior citizens and kids. The combination of emission from the vehicles, dipping temperature, exhaust fumes, factory emissions, and soot from burning of agricultural waste give rise to excessive smog. This makes it extremely important to resort to safety measures against indoor and outdoor pollution. In this blog, we discuss some of the health hazards of rising smog after Diwali. Excessive levels increase the level of PM 2.5 which can cause serious health problems. High levels of smog irritate the respiratory system. The effects of irritation remain only for a few hours after exposure to smog. However, though the irritation may subside, ozone present in the smog continues to harm your lungs and respiratory system. Exposure to smog has an adverse effect on people suffering from asthma and bronchitis. Patients suffering from such respiratory problems have a very difficult time when the smog levels are high. This can also increase the number of asthma attacks among patients who have severe asthma problems. In addition, children are at a higher risk of developing asthma as they have underdeveloped lungs. Another common problem that people suffer from during excessive smog is eye irritation and blurry vision. The pollutants present in the air cause the common problems of burning sensation, irritable eyes, and redness. In addition, smog also causes dry eyes and it can gradually decrease tear production. Tears are like a protective gear for the eyes, which is the reason why tear evaporation can increase the chances of eye infection. Smog also leads to nose and throat irritation. When smog is inhaled, it dries out the protective membranes of the nasal passage and throat. This makes it extremely difficult for the body to fight against infection. Inflamed breathing passages also decrease the ability of the lungs to function smoothly. This also leads to shortness of breath, wheezing, coughing and pain when breathing. So, why do you Need an Air Purifier? Though most of us are concerned about outdoor pollution, the excessive levels of smog also have an impact on the quality of indoor air. The high levels of PM 2.5 and other pollutants can easily enter your homes whenever you open the doors or windows. 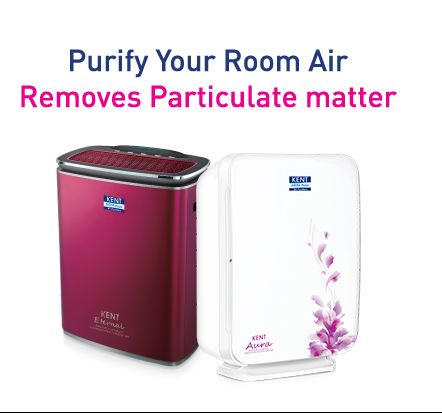 Considering this, it is extremely important to install a HEPA air purifier to catch and trap these harmful pollutants. 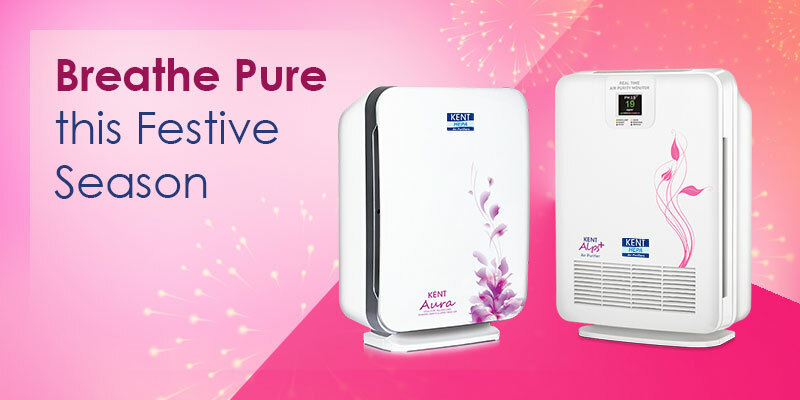 HEPA air purifiers from KENT are efficient in trapping pollutants such as PM 2.5 and carcinogen agents which increase the smog levels are at the peak. 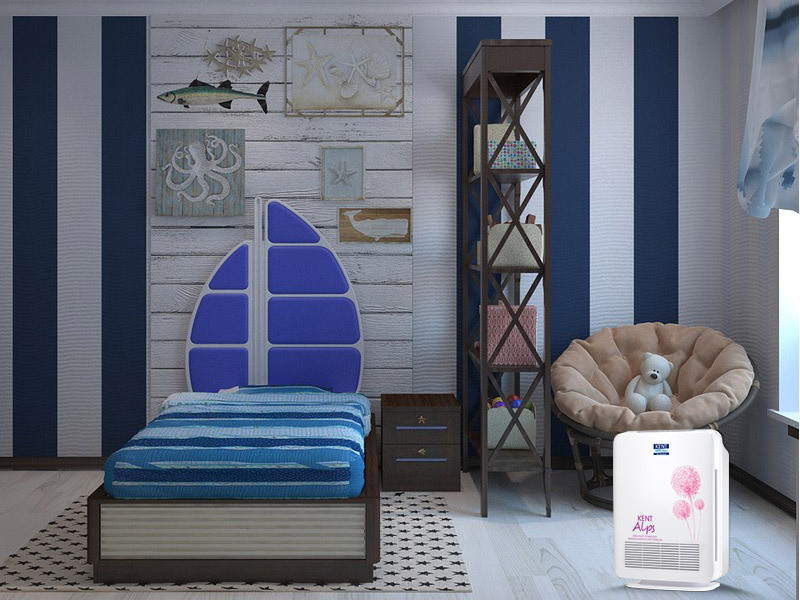 The air purifiers also come with real-time air quality monitor which keeps you informed about the quality of indoor air for your convenience. Protecting yourself from outdoor pollution is not enough. The indoor air quality also decreases as a result of smog. In addition to wearing the right mask when you step out, you also need to use an air purifier during this time when the smog levels are high. 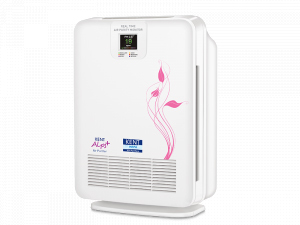 To find out more about the range of air purifiers, click here.